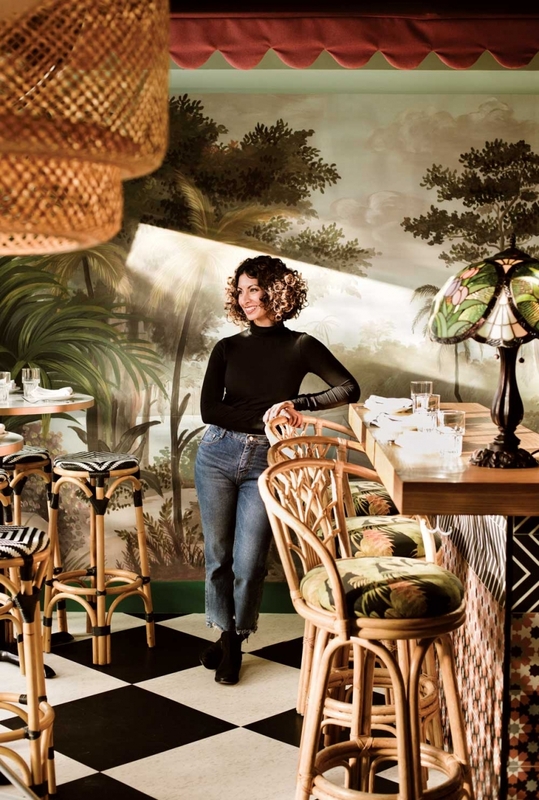 Artist and co-owner Maya Gohill designed the interior at Calcutta Cricket Club. Photograph by Jared Sych. FOOD | Bengali-inspired street foods and celebratory meals. VIBE | Cosmopolitan and lively. Great for a first date or with a group. DECOR | Colonial and kitschy. DISH | Paneer kati roll (fresh cheese wrapped in paratha with lime, onions and chilis). TIP | Listen carefully and you’ll hear recorded birdsong in the Wes Anderson-esque washrooms. When Calcutta Cricket Club (CCC) opened in the summer of 2017, the 50-seat side patio off 17th Avenue S.W. was the place to sip a Crushable Gin & Tonic with mango, chili and lemon. Come winter, the restaurant’s interior and warm spices were a welcome pop of colour and flavour. 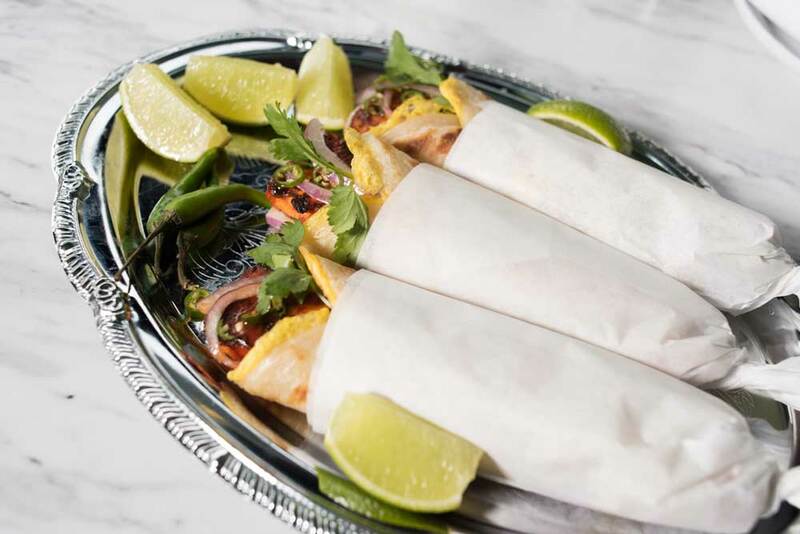 Inspired by Raj-era gentlemen’s sporting clubs, with a menu that spotlights Calcutta and Bengali street snacks and family meals, CCC is part of the Thank You Hospitality group, which includes Native Tongues Taqueria and Two Penny Chinese. Local artist and co-owner Maya Gohill designed the space. It’s a little bit 1960s and a little bit 1790s, with plenty of pink and mint-green, Moroccan tile work, rattan furniture and charming touches like a wall of framed family photos. The eye-catching leopard on the wall behind the bar was salvaged from an old carousel. Chef Rene Bhullar created the menu, which has a large selection of bar snacks such as paneer and honey, fish chop and bone marrow, as well as meat and veggies from the tandoor oven and grill, curries and celebratory meals like a traditional Bengali Sunday lamb-shank dish. Any Calcutta Cricket Club experience should include kati rolls, a Calcutta street food of a paratha wrap stuffed with grilled meat, cheese or egg. Bar director Madeleine MacDonald created a menu of intriguing cocktails with cricket-inspired names like Chin Music, which blends Scotch whisky with chamomile grappa, and the Dibbly Dobbly Bowler with dry vermouth, “rootbeer” syrup and plum bitters. You can also choose from a selection of Canadian draft beers, wines and non-boozy classics like chai and mango lassi. Try the paneer kati rolls at Calcutta Cricket Club. Photograph by Jared Sych.